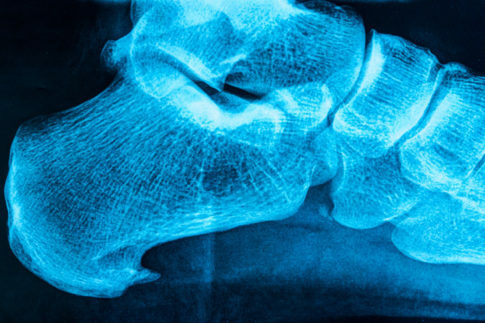 A projection or growth of bone, called a heel spur can grow where the muscles of the foot attach to the bone. While some heel spurs are painless, others can be the cause of chronic heel pain and may require medical treatment or sometimes even surgical removal. 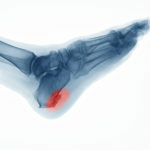 A buildup of calcium deposits on the bottom of the heel bone resulting in a spur-shaped deformity. There are several treatment options for this condition such as stretching exercises, cortisone injections, perineural injection treatments, tapping, padding, custom orthotics or possibly surgical correction. Dr. Chaudhry will do a full examination, including x-rays (which are offered onsite). He will review the images with you in detail, and discuss the proper treatment plan for your condition.